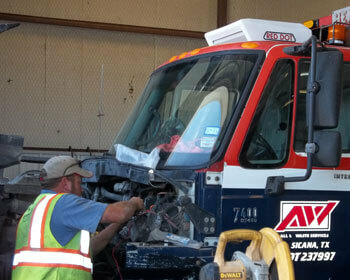 Adams Mobile Air in Terrell, TX is the best mobile air service and parts provider in the area. Our expert technicians have the skills and experience to maintain climate control for all specialty vehicles, fleets, and heavy-duty equipment. The best part is that we’ll bring our expertise to you. 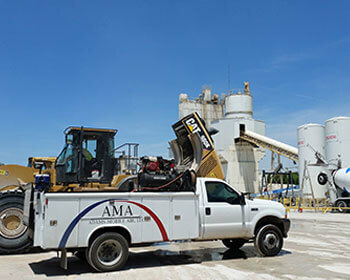 No job is too big or too small for our mobile repair units to restore optimal air quality to million dollar equipment or individual machinery. From top to bottom, our team can handle all services to your equipment. Whether your need is a simple repair and maintenance service or a complete restructuring of your current climate control system, you should call our experts first. We bring comfortable air quality for varieties of heavy-duty heating and ventilation applications. Adams Mobile Air provides the technical expertise that you’ve been looking for, with our innovation, problem-solving, and system enhancing. We understand our customers’ need for top-notch heating and air conditioning services, which is why we always provide the best quality product and services. Our clients know that they can trust us to handle any questions, concerns, or equipment malfunctions because we’re their local experts. No one else in this area has our climate control expertise. We only use OE quality parts to maintain your system’s durability and efficiency. Adams Mobile Air keeps its customers involved from beginning to end, designing the service plan around your specific needs, from completion dates to costs. We always keep an eye on your stated budget and timeline to make sure you’re always pleased with our end product and services. Give us a call today, and we can come out to let you know exactly what’s wrong with your system. Our highly trained staff member come directly to your malfunctioning equipment and start to troubleshoot. With our extensive experience, the problem can usually be identified with minimal effort. However, any problems that are causing a major system malfunction will require our expertise. We’ll be sure to get you the solutions you need, the first time! We look forward to serving you! Why Choose Adams Mobile Air? Our technicians are ASE (Automotive Service Excellence) & MACS (Mobile Air Conditioning Society) certified. Agricultural equipment, military, mining, excavating, cranes, over-the-road trucks, emergency vehicles, buses, fleet vehicles, heavy equipment, RVs, etc. One of our highly trained mechanics will arrive on site to diagnose the system failure & correct the malfunction. We are proud to be EPA certified for the proper disposal of compressed refrigerant gasses such as Freon. Disposing of them properly ensures that they don't enter our waste processing systems with the charge still intact. We are a member of the Mining Safety & Health Administration (MSHA) & our technicians are MSHA certified. With over 40 years of combined experience, we have the knowledge & expertise to get the job done right the first time. We want to ensure you that our company is safe, properly insured, financially solvent, and that when you hire us, your company is in good hands. We know how important it is to make sure everyone on the job is as safe as possible so we invest lots of time and money into safety training because it's a top priority to us, just like it is to you. We are highly trained and certified in all areas, ranging from safe Freon handling to mine safety and are proud members of Avetta. Please contact us if you have any questions, we'd love to tell you more!